It will be 20 years tomorrow, July 7, when Nigeria witnessed its heaviest anti-climax ever in modern history – the day Bashorun Moshood Kashimawo Olawale (MKO) Abiola died. That fateful Tuesday in 1998, the stakes were so high of a new beginning. 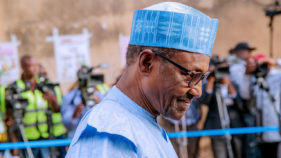 It was already a month after the Commander-in-Chief, Gen. Sani Abacha, died in office and his successor, Gen. Abdulsalami Abubakar, had raised the hopes of all Nigerians for a restoration of Abiola’s June 12, 1993 presidential election mandate. Just few weeks in office, Abubakar had released political prisoners, including former president Olusegun Obasanjo, in batches and the whole nation looked forward to Abiola’s release and return to democratic rule. But alas, the hopes of Abiola’s return was dashed when news filtered out late at night that Abiola had died of a heart attack while receiving some foreign diplomats as guests. His death immediately sparked riot in Lagos that left at least 19 people dead. Recounting his experience on the day Abiola died, a senior lecturer at the University of Lagos, Dr. Albert Oikelome, wrote: “I was at a leadership meeting in church at Gbagada and suddenly the announcement came that we should all leave for our homes. No closing prayer or benediction. No announcement as to why. But we soon got to know on our way home that Abiola had died and Nigeria was boiling. “A thought came to mind, if Nigeria was at a boiling point, then Oshodi would be a ‘lake of fire and brimstone’. I was afraid. I lived at Oshodi. I knew my people. How on earth would I be able to pass through that place without saying ‘how do you do’ to our guys across the bridge’? When I got to Oshodi, the whole atmosphere had changed. The hoodlums had taken over. They were looting and stealing from everyone that crossed their path. “Just then, the brother I was following did the unthinkable. ‘Roll up your trousers! Take off your clothes! Tie it on your head! Raise your two hands in the air and watch me! Just do as I do’! he barked. My trousers rolled like a tout at Oshodi? Has my brother lost his sense of decency and holiness? I thought. I refused to take off my clothes. “However, some people followed my beloved brother who by now had become a ‘one man MOPOL’. They were all shouting ‘MKO’! With their two hands up as they approached the ‘dare devils’. With wonderment, I saw them pass the hoodlums. By the time I was about passing the same route, the Agberos pounded on me like a pounding machine and searched everything I had. The clothes I refused to take off were roughly taken off from me up to the pant levels! “What happened afterwards is a story for another day. I thank God for the gift of life. Tomorrow, the crowd of June 12 crusaders who would gather at his tomb in Ikeja, Lagos to offer prayers for the repose of his soul, would increase, owing to the recognition the Federal Government has accorded to the June 12 hero, who paid the supreme price for the mandate Nigerians overwhelmingly gave him. 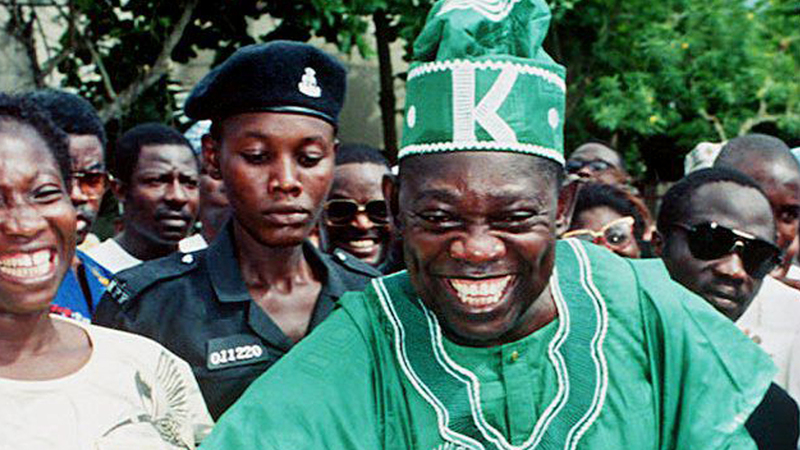 Twenty years after his passing, Abiola’s legacies will still be remembered. He stands tall in death first for his unparalleled philanthropy. He remains till today the most outstanding altruistic Nigerian dead or alive and will be remembered as the pillar of sports in Africa, who has been difficult to replace. Secondly, his place in Nigeria’s history is forever preserved for the singular reason of paying the supreme sacrifice for the emergence of the country’s fourth republic. In a singular devotion to the ideal of liberal democracy, he chose to die instead of relinquishing the political ‘mandate to lead’ given to him by Nigerians on June 12, 1993. The military authorities did all they could to buy off that mandate but Abiola would not budge. 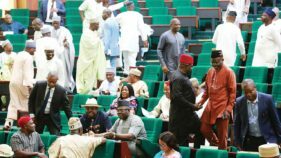 He was incarcerated for four years, held incommunicado, subjected to harrowing experience, but the Aare Ona Kakanfo of Yorubaland refused to simply exchange his mandate for personal freedom. His wife, Kudirat, a firebrand activist and advocate of democratic ideals, was brutally murdered, Abiola’s business empire suffered great reverses, as he experienced other tragedies that would have broken a mortal of a lesser psychological constitution, but the great Egba man faced all these vicissitudes with stoical resignation and inner calm. He was often heard saying: “The only entity I fear is Almighty God” but at last, he died on July 7, 1998 at a youthful age of 60 and in a circumstances that future generations would definitely have a lot of questions to ask from all those directly involved and remotely connected.